I’d like to offer special thanks to several Bogleheads regulars who contacted me recently to help steer the portfolios section in the right direction. I make every effort to accurately represent each portfolio here, and greatly appreciate when people provide constructive feedback. As a result of said feedback, I’ve renamed one portfolio and added another. The “60-40 Bogleheads” portfolio has now been renamed Classic 60-40, as it has been helpfully pointed out that the opinions on the Bogleheads forum vary much more than the previous name might imply. 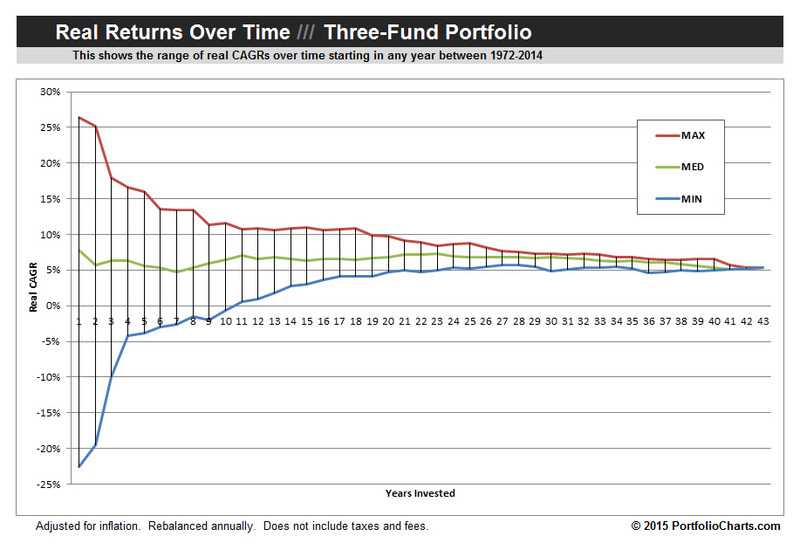 I’ve added the Three-Fund Portfolio to the list, which is certainly a staple of the great Bogleheads advice and deserves its own summary. Representing every potential iteration of a three-fund portfolio will take much more space than one portfolio summary, so I’ve chosen what seems to be the default choice: 40% Total Stock Market, 20% Total International, and 40% Total Bond Market. Interested readers should learn more at the wiki page. Astute readers will quickly notice that the two portfolios are very similar. Both hold 60% stocks and 40% bonds, and the only difference is that the Three-Fund Portfolio further divides the stocks into US and International. Having these two very similar portfolios side-by-side provides a good opportunity to contribute something to the ongoing debate: Does adding international stocks really make a difference? Many people have well-educated opinions on this, and the issue even causes the greatest allies to sometimes find themselves at odds. For example, the Three-Fund Bogleheads wiki includes the statement “it is assumed that every investor should hold both domestic and international stocks.” Interestingly, the most notable proponent of just sticking with the US stock market and skipping an international fund is none other than the namesake of the forum, Jack Bogle. Rather than trying to over-summarize, I’ll just point you to where you can listen to his reasoning in his own words. So what do I think? Well, let’s look at the data. 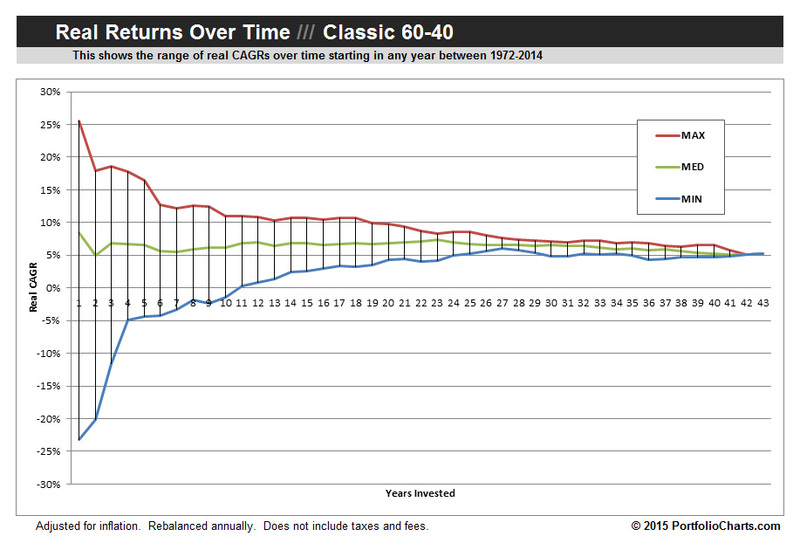 When it comes to long-term returns, international stocks make no notable difference in CAGR, worst year, or longest drawdown. Studying the Pixel chart for performance differences over different timeframes, one can detect slight under-performance for the Three-Fund portfolio in the 80’s and out-performance in the 00’s but generally they share the same pattern of ups and downs. In accumulation, it seems like a coin flip to me and I would have no problem with either approach. 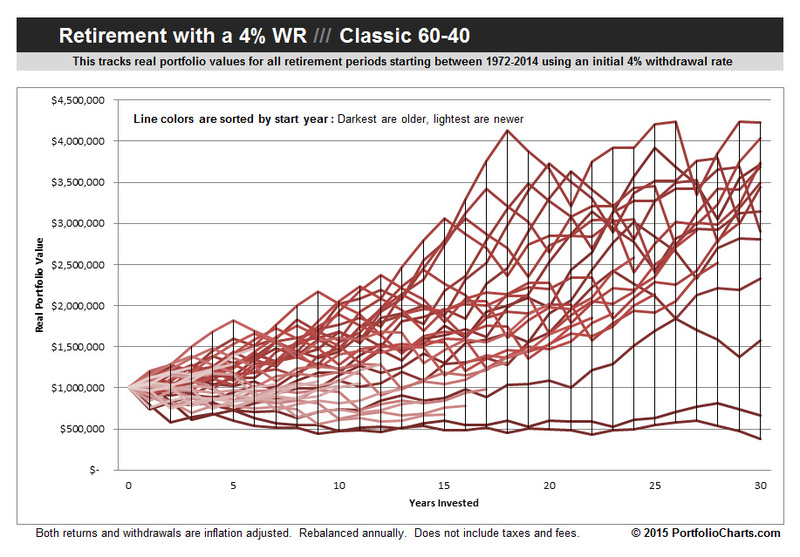 Where I do start to see a bit of a difference is in retirement. 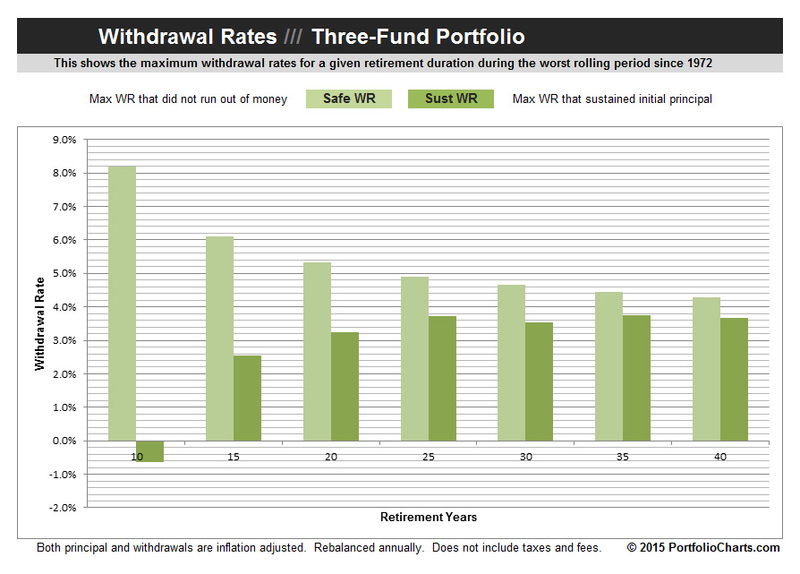 Even though the overall CAGRs are virtually identical, the Three-Fund portfolio has achieved slight advantages in Safe and Sustainable withdrawal rates over all timeframes for which we have data. 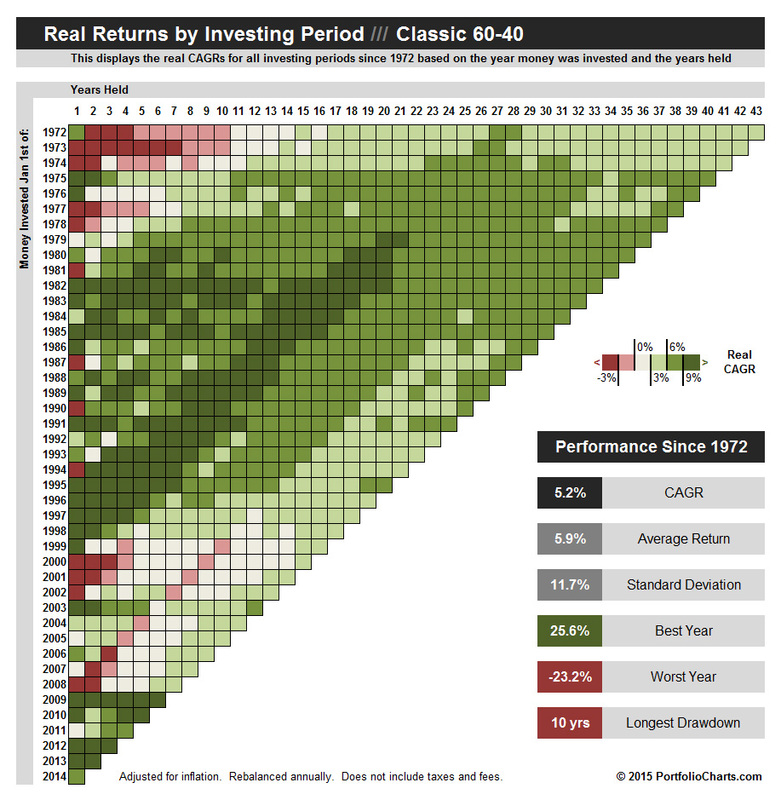 I wouldn’t call it a huge difference, and it’s possible it might swing back towards the Classic portfolio at some point, but it makes sense to me that the extra bit of geographic diversification might help boost performance in drawdown by insulating investors from the worst stock market years in the US at least a little bit. Since SWRs are especially prone to black swans and generally greatly benefit from diversification (try it for yourself), a bit of international exposure doesn’t seem like such a bad idea. 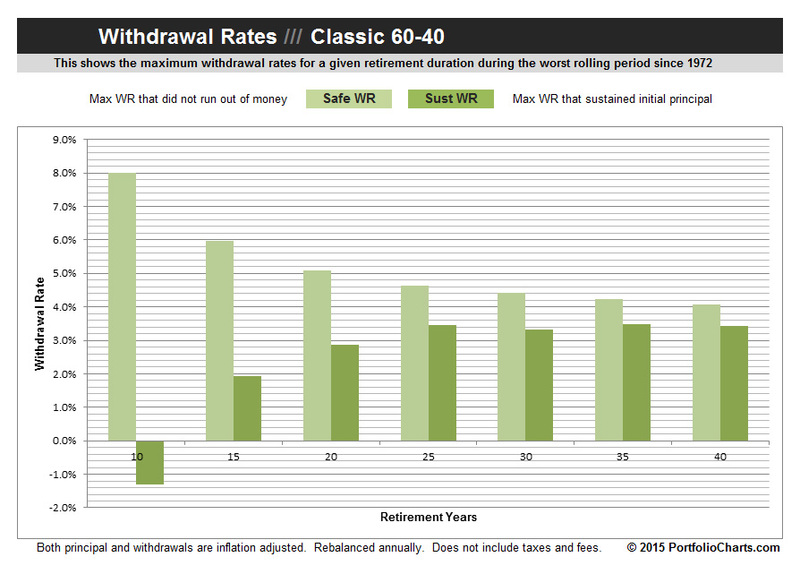 So with the caveat that past performance is no guarantee of future returns, I personally think that – based on the data – the Classic 60-40 and Three Fund portfolios are both fine choices that have performed pretty much the same in accumulation with perhaps a slight tip to the Three-Fund Portfolio in retirement. 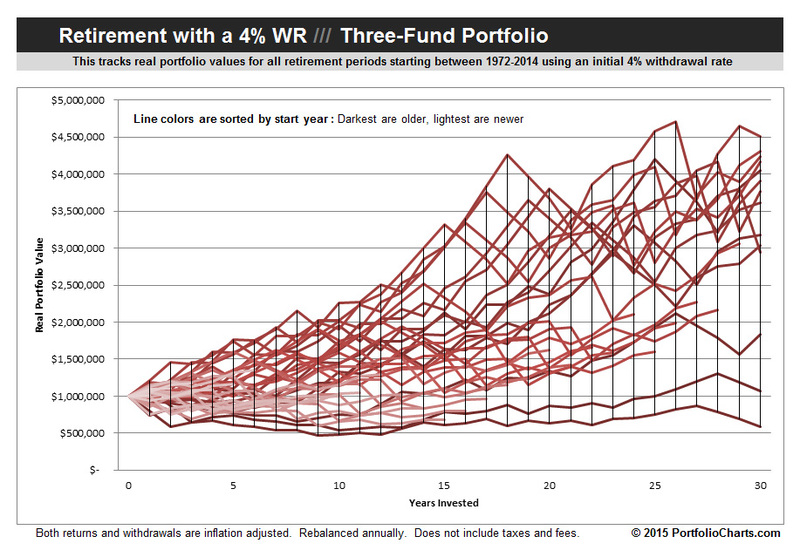 There’s more than one good way to build a portfolio, and both are excellent options.